I started my foray into laser therapy years ago. I was lucky enough to have dozens and dozens of friends in hair loss forums that respected me enough to follow my intrigue on the subject, and the result was dozens and dozens of different laser therapy devices and the greatest mass-testing of LLLT for hair loss that the world has ever seen. It was a time of great learning and knowledge --all EARNED by us. 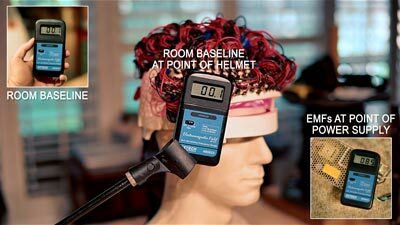 With their help, I came up with the "Key Concepts" of what makes the absolutely most optimal laser device for hair loss (and probably most other treatments as well), and then I created a device based on that --and FREE INSTRUCTIONS on how to make that device. That device was the "Laser Messiah I", and the instructions are still on this site. After months and months of being bombarded by emails for me to start making this professionally, I finally got contacted by Dr. Jerry Cooley, a ROCK STAR in the world of hair restoration and always on the forefront of technological breakthroughs. He said eight words to me that I'll never forget, "You need to start building these for people. ", and a short time later I had taken the Laser Messiah I and upgraded it to be "one size fits almost everyone", much more rugged and durable, and have even more side coverage (and important "key concept "that we realized later). 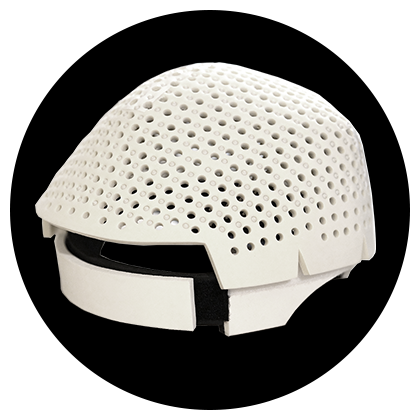 The Laser Messiah is the only helmet based on the KEY CONCEPTS of successful LLLT, & the only helmet that is FULLY-CUSTOMIZABLE, UPGRADEABLE, & USER-​SERVICEABLE! Why would you want anything else?! I mostly make the "FULL DEAL" fully-wired helmet/power supply (the one that you put on your head, plug it in, and it works!). The most common amount is 300 diodes ($1125 plus shipping, and I can break down the cost for the other options via email), and I can easily go up to 450 (which is for diffuse thinning) and I go as low as 200. I can go higher than 450 with some alterations, by the way. These are REAL LASER DIODES --the same type used in professional laser devices found in laser clinics. I make these very well, and I will always be there to keep it functioning for as long as I am alive. 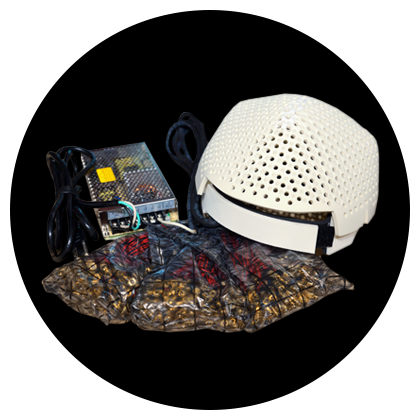 I can put together a "DIY KIT" with "helmet only", the diodes, and the power supply with cords. This is basically $200 less than the FULL DEAL for any increment (which is obviously minus the supplies/labor charge). The other tools and supplies are readily available in most locales, so I will not supply those. I cannot service helmets that I do not wire! 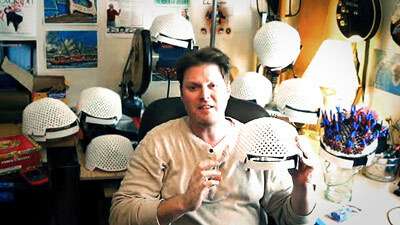 I make the "Helmet Only", which is the hardest part for those that want to try to find everything else on their own! This is $125 plus shipping. 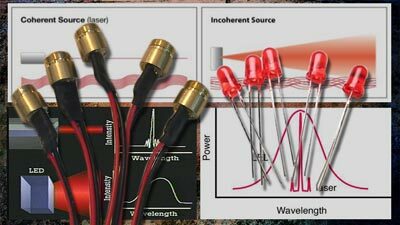 I need to give a stern warning on the flood of cheap diodes out there -they are not what the laser "therapy" industry wants ("therapy" being the key word! ), which is why they are often so cheap! Anyway, you can contact me for more details on that! All my transactions are processed through PayPal (but you can use a credit/debit card) so we are BOTH protected! You don't even need a PayPal account anymore --you enter your card info on their paypal.com site, and no one else even sees it! We are BOTH protected by PayPal! I [happily!] sacrificed my career to start doing this full-time, too, but don't feel sorry for me... I absolutely love this, and I wake up every morning happy to be alive! 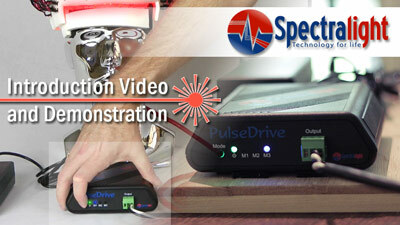 This is my PASSION, and I've only just begun with laser therapy devices! 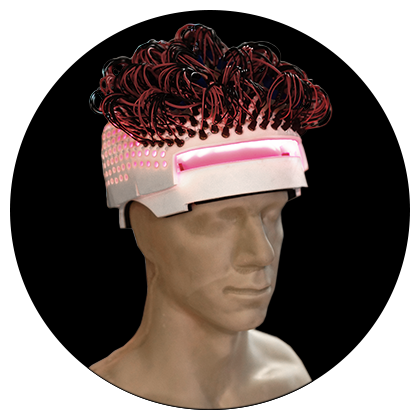 So, in regards to these topics (hair loss in general, laser therapy devices, etc.) you have my full attention when you contact me! I can send you photo comparisons with other devices if you want, but one look from this should tell you that NOTHING COMPARES to the Laser Messiah II. You can easily see that there is just no competition when it comes to coverage. Plus, it's flexible and conforms to the scalp, which is CRUCIAL when it comes to getting the PROPER AMOUNT OF ENERGY. 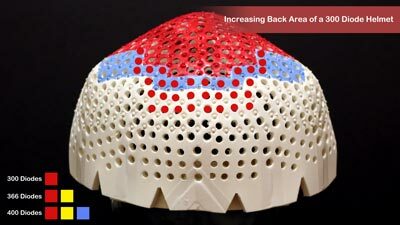 Most manufacturers don't know much about laser therapy. They don't even know how best to use it (their times, energy calculations are usually way off), and they have NO SUGGESTIONS for enhancing treatments, like professional laser clinics and MYSELF (with my Laser Usage Protocols) have been doing for years. Of course, now that I'm making my "Laser Usage Protocols" public, expect people to start copying them and passing them off as their own! Many of these companies try to obfuscate energy levels by touting a bogus "total energy" level vs. the way it's supposed to be done, which is the energy UNDER EACH DIODE. There will be plenty of articles coming soon on that, let me tell you! The most popular mass-marketed device only has 21 laser diodes for half the price of what I charge for 400 laser diodes! Twenty-one vs. FOUR HUNDRED!!! That's not a trick on my part, and I'm not doing any "funky math"--it is incredibly scandalous on their part, and they take you for a FOOL!!! They even use useless red L.E.D. 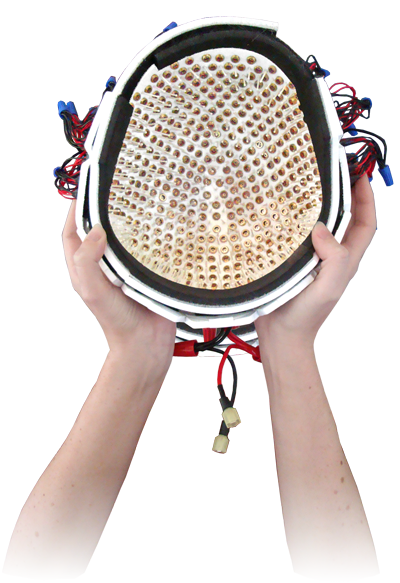 's to light up the rest of the underside of the helmet to hide what would be large, gaping black pockets of NO COVERAGE! Get to know some of these mass-marketed devices and you'll literally be sick to your stomach! 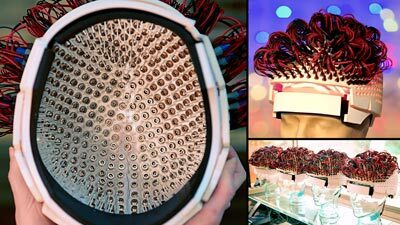 They make a design that is easy for them to make --this absolutely explains the massive variety of diodes/coverage/etc. out there among these mass-marketed toys. The Laser Messiah II is the ONLY HELMET that was the END RESULT of a massive amount of testing (and incorporates all the key concepts we found to be the absolute best! ), and not just the first thing the could be cheaply made for a ridiculous markup! Those "Key Concepts" of Successful Laser Therapy?? 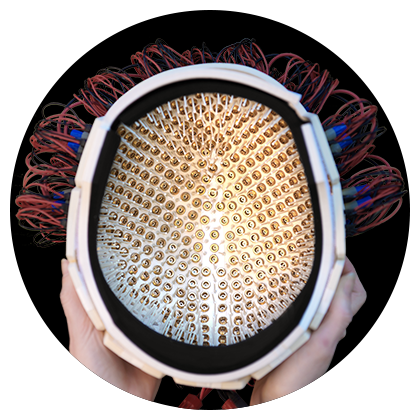 Use a large number of laser diodes to give you as much DIRECT COVERAGE in the largest area you can [it's about the amount of energy the scalp gets under each diode -not some bogus "total energy" number]. 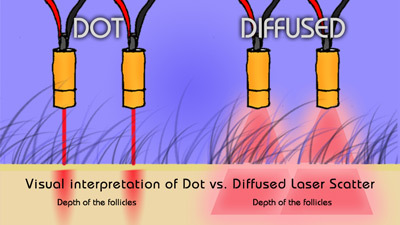 Arrange the diodes in a way that minimizes gaps and overlaps with the laser footprint. Elevate them off of the scalp for greater coverage [we found this was extremely important, by the way!]. REMOVE. THE. LENS. CAPS. [I have a few articles that talks about the importance of this!!!]. Try to keep the doiodes as close to the same height off of the scalp as possible so the energy level will be even across the area [this is the importance of a flexible design!]. Use it at a time calculated to get right in the middle of the “window of energy”! It’s as simple as that! ...And it's exceptionally hard to do easily make a device that does this, which is why I suppose it’s not done like this by others! ...and the Laser Messiah II is the *only* laser therapy device for hair loss that does this. The Laser Messiah II is the END RESULT of massive amounts of testing --not just what could be cheaply and easily produced for high profit! I will not sell on Amazon, and I will not sell on eBay. Why? ...for a few reasons. This is a custom item that I build for YOU --and I want to talk to you about it. If I was interested in a "point and click" sale, I wouldn't be doing this. This is what I do... 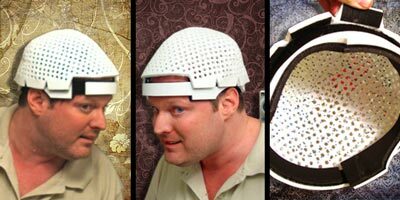 I make laser helmets, I help people, and I have been a consumer advocate for all-things-hairloss for more than a decade. My dedication to manufacturing the world's best laser devices and my passion for this industry should be self-evident by the work I do --especially by my Laser Usage Protocols! Let me help you to help yourself! Take this seriously, and digest the concepts of what I'm saying. I don't want there to be any misunderstanding here about what I'm doing... I'm making devices that usually have a minimum of 300 REAL LASER DIODES --full modules, actually, and the type that are used in professional laser clinic machines. These are not to be compared to the $600-$700 mass-marketed inferior, terrible devices that have flooded the market. These are to be compared to the $40,000 professional machines! ...and I offer service like it's a $40,000 machine, too. So, contact me and find out what I can do for YOU! 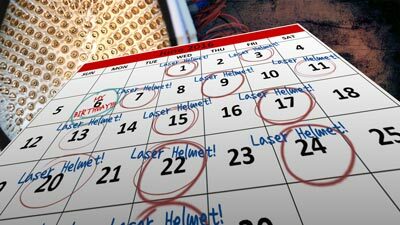 Here is a list of some of the most helpful pages for my laser helmet. You can always CLICK HERE for a list of them in order of newest first! 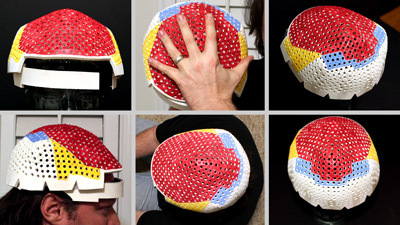 Help easily determine the pattern YOU NEED! If the ones from the last article don't fit your needs, chances are one of THESE WILL!!! 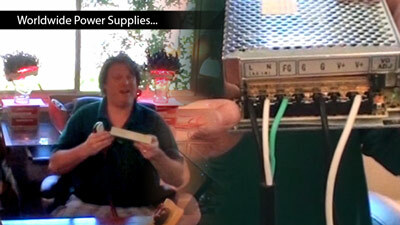 I've upgraded my original power supply, too! Even more capability!!! All you need is a cheap adapter to change the shape of my North American plug to whatever plug your country uses (and you DO NOT need a voltage converter --this power supply *is* a voltage converter!). OLD VIDEO, but shows that the Laser Messiah II will fit on almost every head out there! Expect much more content soon!!! Obligatory Disclaimer: I make no claims that this is a medical device for medical purposes, and I make no medical claims regarding this device. Cosmetic use of these decades-tested 5mW/650nm laser diodes (and I do use real laser diodes!) is allowed, ergo, this is a cosmetic device for the improvement of hair. 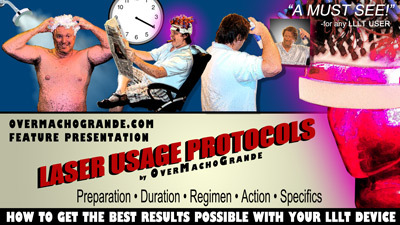 I do no print/media/web advertising -people find me (OverMachoGrande/John Christian) based on reputation and email me. Link to full disclaimer here.